There are many options available to you when making your way to one of our beautiful Chalets. Whether you’re driving, flying or taking the train we’ve listed some helpful info to get you here. Travelling to La Tania is very easy by car from the UK or mainland Europe. Journey times will depend upon which roads you travel on, the times of day (or night) and the pace of your travel. The fastest and most direct route is by the French ‘peage’ AutoRoute. Typical toll costs are around €50 each way. Contact us if you need details of hotels or accommodation en-route. We can often point you in the direction of great value accommodation. After following signs to Albertville and Moutiers, follow the road from Moutiers to Courchevel. After around 5-6 km you will come on to a roundabout, where after turning right, you start the climb up the mountain, direction Courchevel. Passing through the town of St Bon, you will arrive in La Praz. Near the center of La Praz, you will arrive at a junction signposted Meribel and La Tania. Take this road (right.) Carry on this road for about 5km and you will arrive in La Tania. 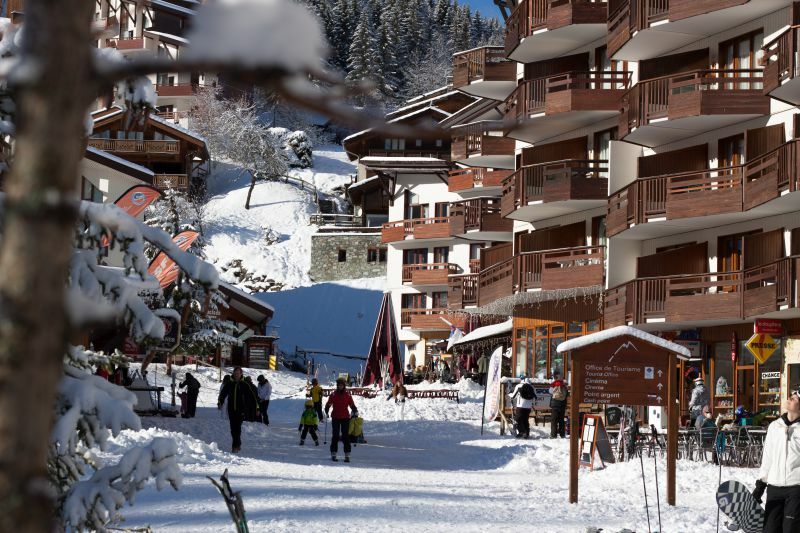 Before you arrive at the center of La Tania, look out for a left turn into the Chalet Quarter. Take this road and follow it around the one-way system, going under the cable car. You are now close to our chalets. Look out for Chalet Aurelia on your left, and just after on your right, is the drive of Chabirusse overlooking the village. Look out for Chalet Aurelia on your left and just before, on your left, is a short road taking you up to the chalet-Hotel. Please be aware that there are no parking spaces at Chalet-Hotel La Tania, but you can take your car to the chalet to off-load luggage. There is a free public car park just a few minutes away. Regular TGV trains run to Moutiers, and with typical convenience, the bus stop to La Tania is at the train station. Taxis are out the front of the station. Buses also run from Moutiers to LaTania. Local information will advise you on timings. There are car hire depots at Moutiers should you need to hire a car and make your way to the resort. Regular flights go into Geneva, Chambery and Lyon from many different UK and mainland European cities. Car hire, buses or taxis are readily available, although train times, especially from Geneva can be very long winded affairs. To take the stress out of getting to the resort, let us organise your transfers with a fully insured and professionally organised private transfer from your arrival airport or station. If we can help in any way by sharing experiences in travelling to La Tania, please drop us a note or give us a call.